See previous posts for individual song lyrics! 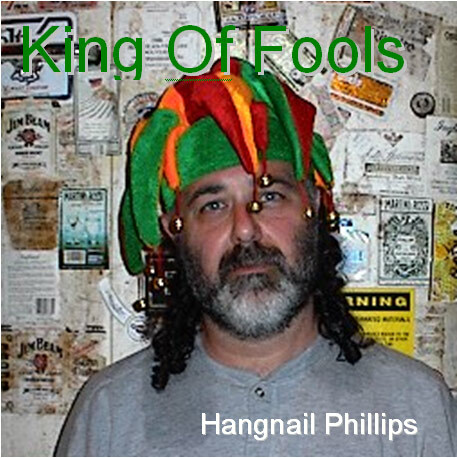 Hangnail Phillips: Vocals, guitars, sitar, keyboards, clarinet, sax, Flute, harmonica, drums, etc. James Keesey: Vocals, drums, tablas, bongos, etc. This entry was posted in bands, King of Fools, songs. Bookmark the permalink.